The F01 error code means the primary control unit in the dryer has failed and will have to be replaced. The control that needs replacing is the electronic control board not the user interface and/or control panel. 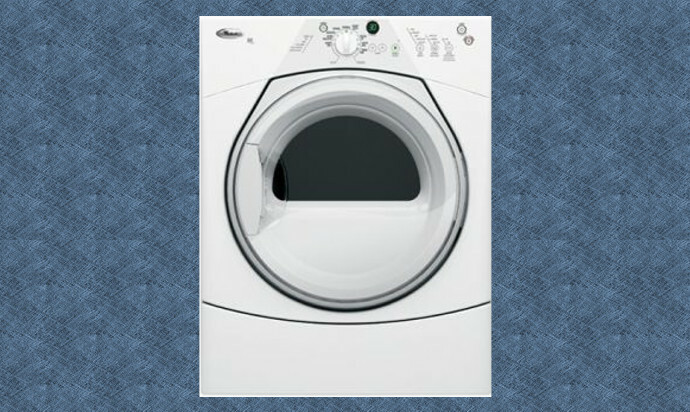 This Whirlpool Duet Dryer F01 error troubleshooting and repair information applies to model WED8300SW0 and all the models listed under the related models section below. In some rare cases a bad outlet thermistor can cause the F1 error code, follow the instructions at the link below and replace the thermistor if that does not fix the issue the dryer has a wiring problem in the wiring harness somewhere which in many cases takes a very seasoned tech to trace down and pinpoint. The thermistor part number listed in the directions below is the correct part for the model number you gave. I verified it. I just wanted to say thanks for saving me a pile of cash! I was about to order and replace the control board because of the F01 error code when I came across this website and found that it could also possibly be the thermal fuse. So I checked it and sure enough that was the problem. Guess I was lucky. Thank you! Can the F01 error be caused by anything other than the control board? I took the board out and looked it over and I do not see any burned spots on the board, it looks good. I just want to make sure it can only be the board before I order one. Thanks. First just because the board does not have any bad spots on it does not mean it's ok. Having said that in some cases the error can be caused by a failed thermal fuse, so if you want to be certain it's the board make sure you check the thermal fuse with a meter, it's located on top of the blower wheel housing. Pushed flex clean and got f94 error. Now bake will not work. I keep getting the Er:04 error so what board do I replace? Started washer while water was off, now it won't do anything! How do I access the thermistor? Why does my dryer keep giving the PF error code? Have a question about this error code? Fill out the form and a certified appliance technician will answer your question usually within 24 hours. You will be notified by email once your question is answered. Questions not related to this error will not be answered. Find the error you need help with in our database. If it's not in our database submit it on our code info request page.